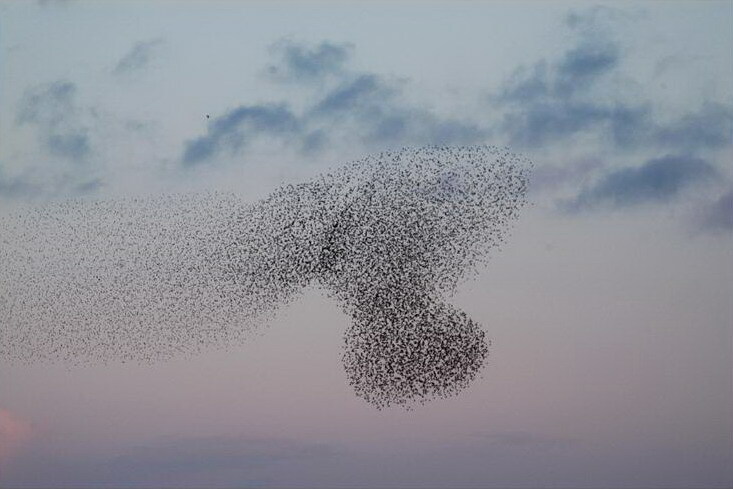 Messages in nature? 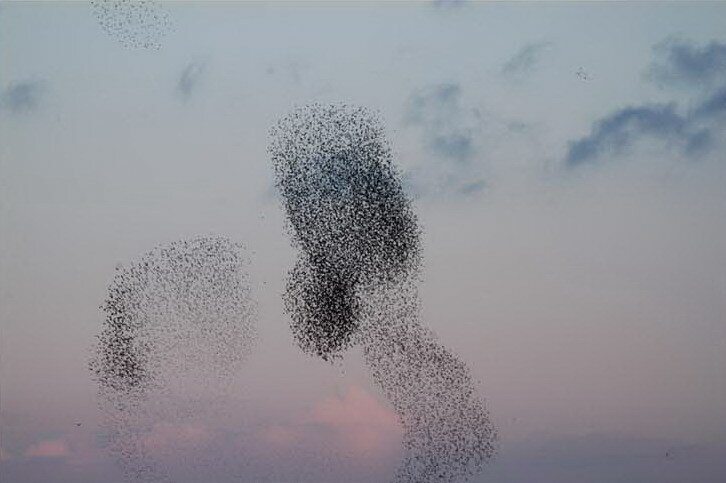 Living art created by avian multitudes? 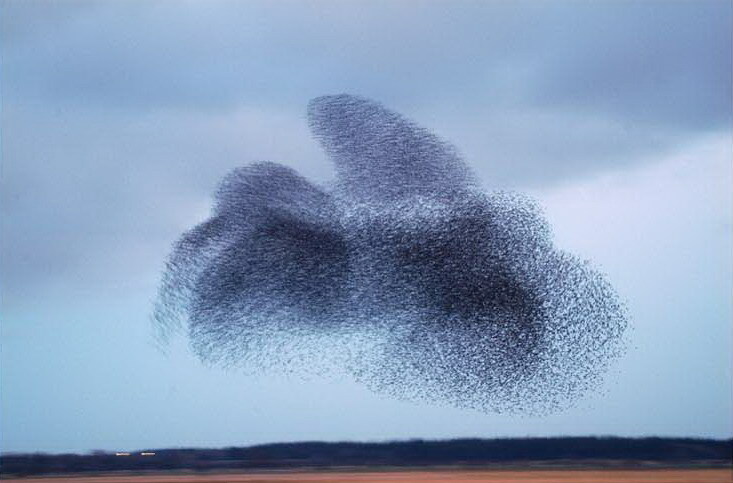 Or just an example of the human mind perceiving forms greater than the sum of their parts? 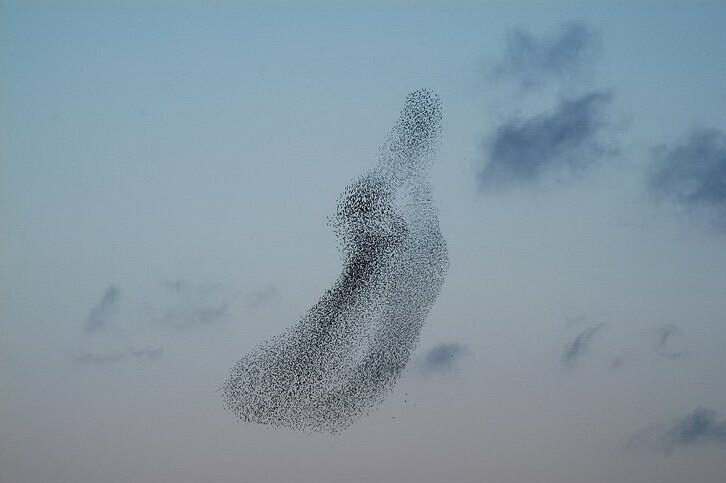 The superstitious might lean towards the former interpretations, but either way it’s clear birds are capable of making some phenomenal shapes. 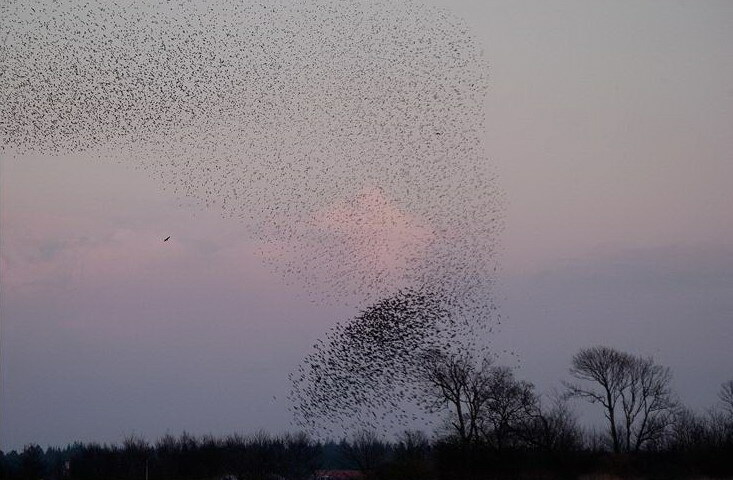 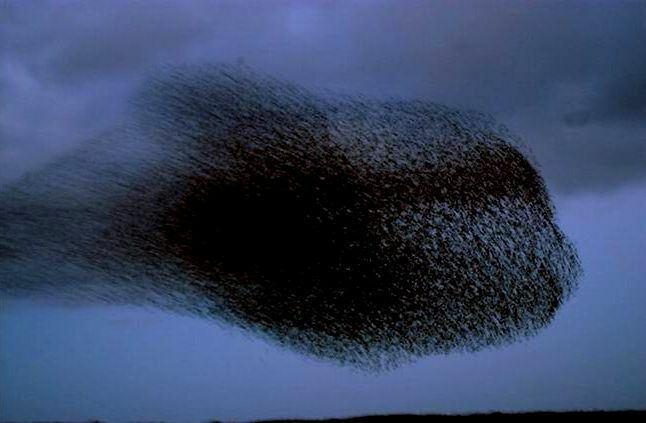 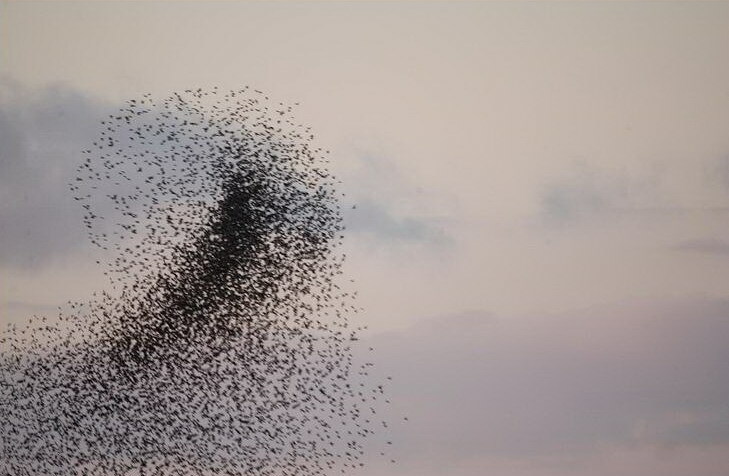 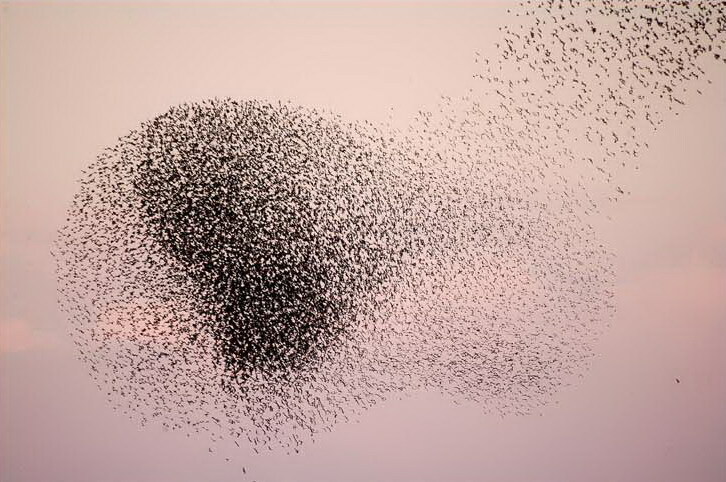 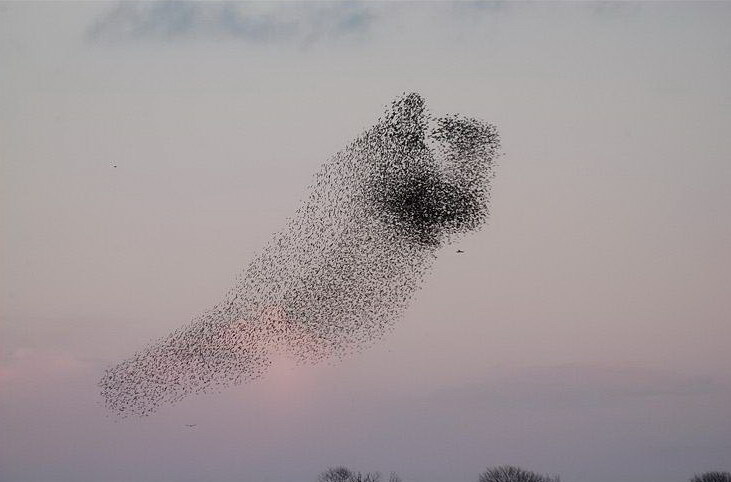 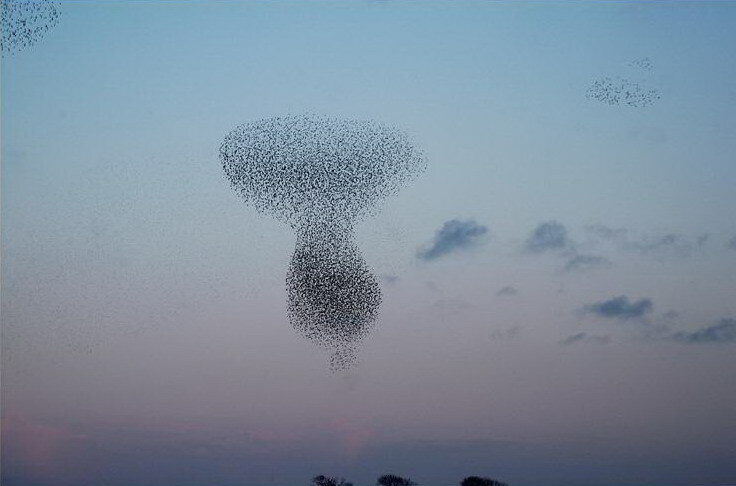 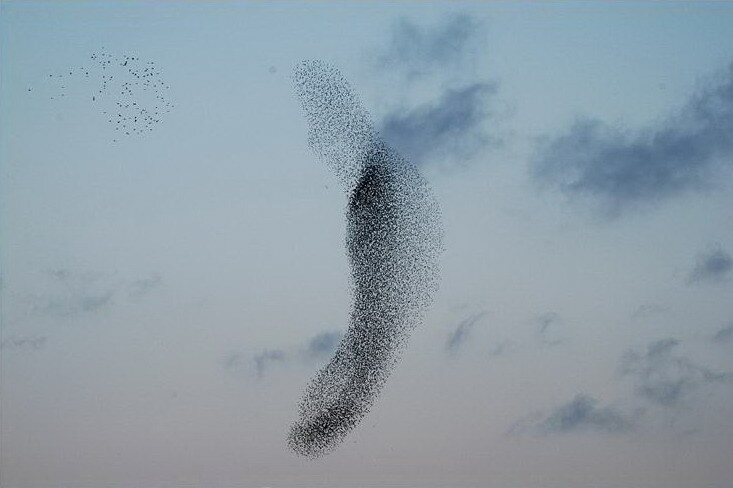 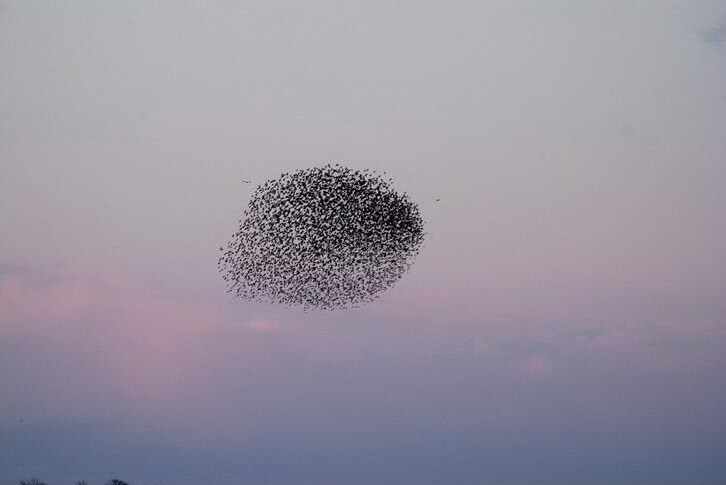 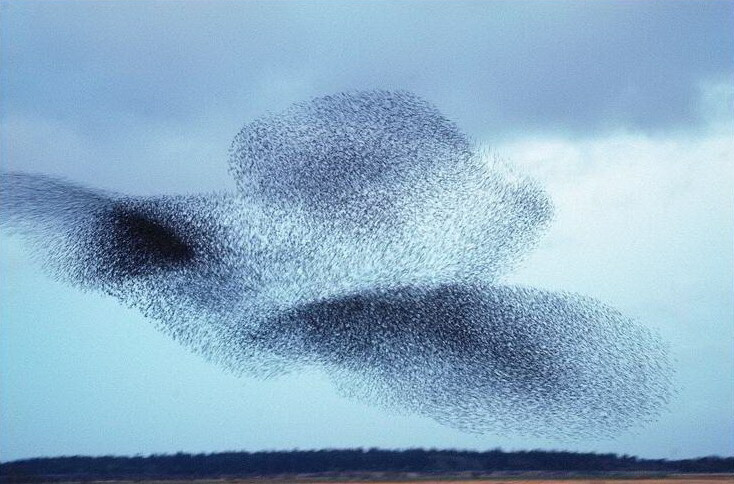 Flocks of Starlings have got to be the standard bearers when it comes painting complex patterns in the sky.